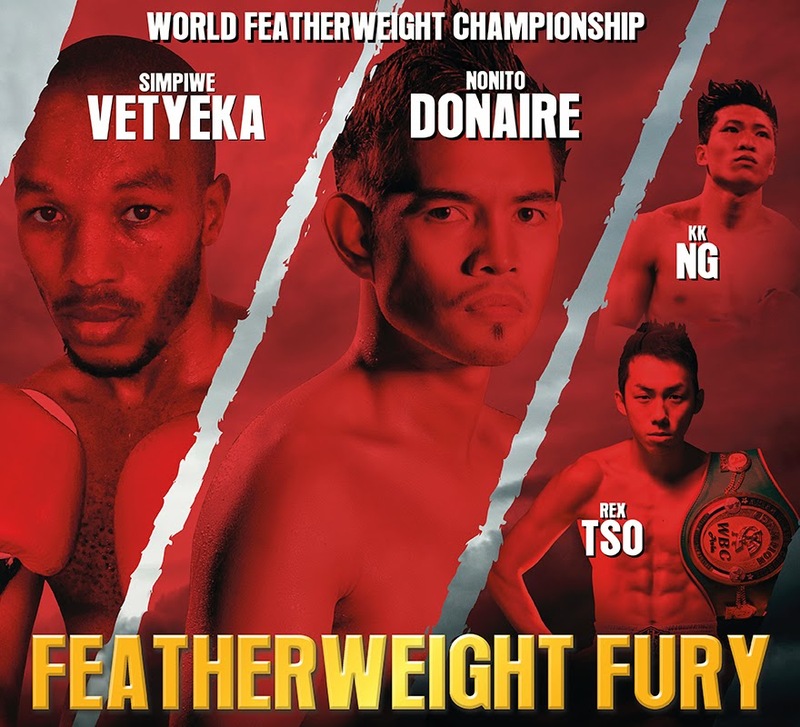 Watch the fight of The Filipino Flash Nonito Donaire (32W-2L)- vs Simpiwe Vetyeka (26W-2L) from South Africa for the WBA Superworld Featherweight title. The fight will be hosted in Macau China on May 31, 2014 and it will televised in the Philippines by ABS-CBN on June 1, 2014. Nonito Donaire is looking for his 5th Division title. Simpiwe Vetyeka beat the Thailand legend Chris John last December of 2013 where he got his WBA Super World featherweight title. Vetyeka was never knockout in his entire career so it's a tough fight for Nonito. Nonito will win by Knockout in round 1-4 because Nonito has the speed, has skills, and has the power to knockout Simpiwe.